Health begins where people live, work, learn, and play. Through the use of evidence-based strategies and interventions, Healthy Jacksonville works in a collaborative effort to influence the social determinants of health and move Duval County toward achieving health equity. By building healthy, equitable communities, we can help ensure that everyone in Duval County has the opportunity to reach their full health potential. Healthy Jacksonville’s key strategic priorities are based on local health data, research, and extensive community feedback. Infant mortality is a key measure of a population’s health. Significant racial and ethnic disparities in infant mortality exist. In Duval County, Black babies are almost three times more likely to die before their first birthday than White babies. Contributing factors for obesity include physical inactivity, poor nutrition, and lack of access to healthy foods. Obesity increases the risk for health conditions such as coronary heart disease, type 2 diabetes, cancer, hypertension, and stroke. 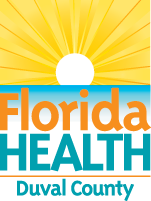 In Duval County, 66.2% of adults and 29.0% of middle and high school students are overweight or obese. Behavioral health is essential to a person’s overall health and well-being, healthy interpersonal relationships, and the ability to live a full and productive life. On average, adults in Duval County report having four poor mental health days in the past 30 days. Addressing access to care can reduce barriers to achieving optimal health such as inadequate transportation, cultural or linguistic barriers, and economic barriers. Lack of or inadequate insurance coverage is one of the biggest barriers to accessing healthcare. In Duval County, 16% of residents lack health insurance and 20% of adults could not see a doctor in the past year due to cost.